Dazed's grime documentary Open Mic premieres tonight at 12.05am on Channel 4, kickstarting series two of Music Nation. To mark the occasion, we're celebrating all things grime on Dazed Digital – look out for a Visionist mix, a gallery of grime-style from those that were there, plus a dA-Zed. Here, the fanatastic next-wave producer Visionist mixes up the tunes he grew up on, exclusively for Dazed. 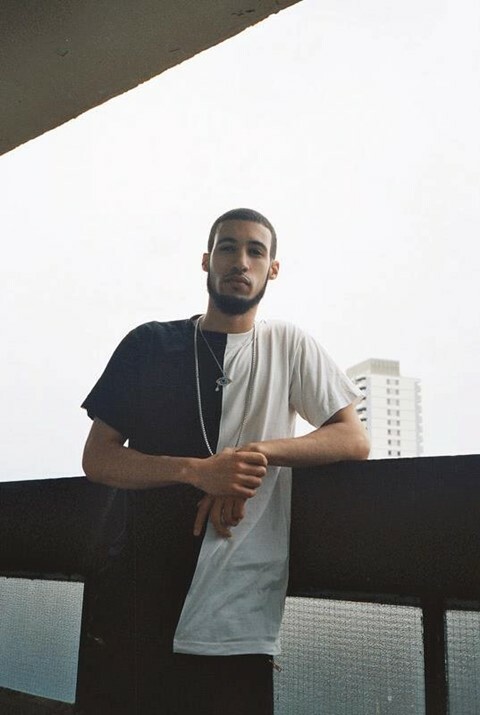 Visionist is one of the most thrilling producers currently making music in London. Though his music today is setting off into stark, bold new territories, his roots are in grime. Once an MC, then a DJ, in this exclsuive mix, he takes us through the tracks than made him. How old were you when you first heard grime? Visionist: I was 13/14 when I first heard grime. It mainly came about because I was listening to So Solid Crew. A natural progression. Visionist: It represented something very local for me, growing up in Brixton. Like "Yeah – this is the London sound". I quickly lost interest in American hiphop. You used to MC, I recall you saying. What was that like? Visionist: It was MCing that first got me into making music I used to write bars to the pow instrumental. MCing was fun – I worked with people in London, and also Nottingham where I was living. Used to go youth clubs for open mics and community studios: grime was more than music. To really experience it, you had to be involved with the culture. 1. Dot Rotten Feat. Voltage, Maxsta, A2, Spokeman - "The Days"
2. Kid D - "Butterflyz"
4. Roll Deep - "I Will Not Lose"
5. DJ Mondie - "Shower"
6. Flirta D, Skrapsta, Mr Wong - "All In Your Grill"
7. Big E - "Fatal Riddim"
8. J Sweet - "Flute"
10. A2 - "Best In Me remix"
11. Red ft JME - "Tell Ur Muma"
12. Kaze - "Give It 2 You"
13. Fadz, Stats, Breakman - "Freestyle"
14. Skepta - "Ringtone Riddim"
15. DJ Oddz & Eastwood - "Toothache"
16. Jendor, K Dot Kidman - "Ugly Riddim"
17. Young Dot - "Knock On Riddim"
18. Jon E Cash - "Spanish Fly"
19. Crazy Titch - "Ice Rink Freestyle"
20. Unknown Bootlegger (Kamikaze/Bossman) - "Ghetto Eyes"
21. Mighty Max ft Allstars - "New Era 2"
22. Bootleg (Dizzie Rascal/ Youngstar) – "I Love Pulse X"
24. JME - "Didn't Know"